Veterinary experts are warning about a rare epidemic of canine dog flu spreading in the Chicago area that has sickened more than 1000 dogs and already caused the deaths of five and it hasn’t stopped there. With such a significant increase in cases of the respiratory illness, the Chicago Park District has posted warnings advising dog owners to keep their pets clear of places where dogs can be in close contact with other dogs. Dogs that socialize at places like parks, day care, boarding, group training classes or groomers are at higher risk for catching the highly contagious condition. Dr. Anne Cohen, an emergency and critical care specialty veterinarian told ABC News that a canine flu shot exists, but not all dogs need it. And while the two-shot vaccination (spaced three weeks apart) may not ward off the illness altogether, it can reduce the length and severity of the illness. For full protection, Cohen says animals need a booster shot yearly. The vaccination isn’t typically recommended for all dogs, but because of this outbreak it is being recommended for those at high risk, including dogs under 1 year old or older than 7 years, and those with compromised immune systems. The outbreak may take several weeks to subside, and animal experts are encouraging dog owners to take dogs to their veterinarian immediately if they notice any of the symptoms. The disease starts out similar to kennel cough and can spread through interaction with other dogs. 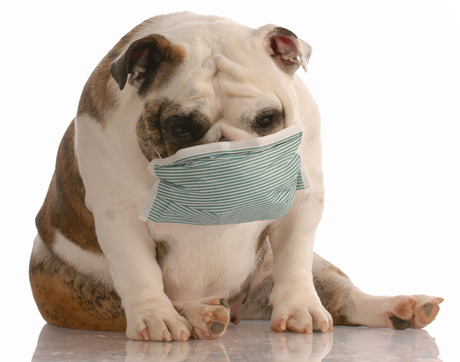 But unlike kennel cough, symptoms of canine influenza can escalate and are much more severe. They include persistent and lingering cough, runny nose, suppressed appetite, lethargy, and depression. 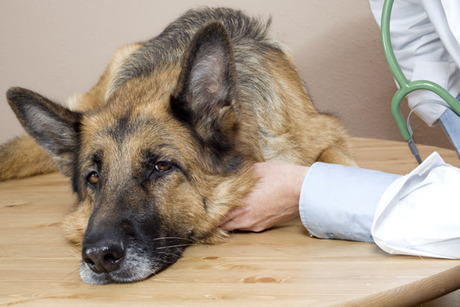 The illness is treatable, but the canine influenza vaccination is not immediately effective, so owners must try to keep their dogs out of social situations with other dogs for the time being. Dogs can be contagious even if they are not showing any symptoms. Out of caution, three area PetsHotels, and several kennels have been closed to help minimize the spread of the illness and sadly Chicago even had to cancel their annual Bark in the Park fundraiser event. Veterinarians say that canine flu is rarely fatal, but stress that it’s critical to watch your pet and see your veterinarian if your dog shows any symptoms. Being proactive with early treatment can make all of the difference. 1. Avoid social situations like dog parks and kennels. Anywhere your dog could come into contact with other dogs. Remember they don’t have to have symptoms to be contagious. 2. If you come into contact with other dogs wash your hands, clothes and anything that has come into contact with the other dog or dogs. Better to be safe than sorry. 4. Get educated about the dog flu, how your dog can get it, how to protect your dog and what to do if your dog is showing symptoms. 5. Talk to your veterinarian. If you have any questions or concerns, always consult an expert.